GorillaPod Go-Go at http://www.joby.com/products/gorillapod/gogo/ for $35? from Andy Ihnatko (1:04:00). TimeMachineEditor at http://timesoftware.free.fr/timemachineeditor/ for free from Merlin Mann (1:10:00). Enigmo 2 at http://www.pangeasoft.net/enigmo/ for $20 from Leo Laporte (1:08:00). MacHeist at http://www.macheist.com/ for $49 from Leo Laporte (1:09:00). 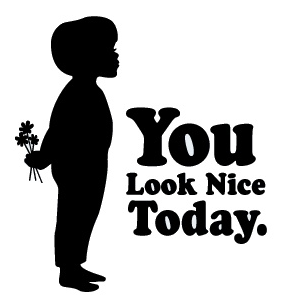 You Look Nice Today at http://youlooknicetoday.com/ from Leo Laporte.